British Columbia’s Golden Triangle mining district is experiencing a modern-day gold rush on improved key infrastructure, rising gold prices and the discovery potential in a new geological model. British Columbia’s Golden Triangle mining district is known for million-ounce gold deposits. Located in the northwestern area of the province, the region first gained prominence with the 1988 discovery of Eskay Creek, which would become one of the world’s largest silver mines. However, a lack of infrastructure in the mountainous region and a low gold price environment left the district vastly underexplored. And yet, the landscape is changing, both geologically and economically, making today’s Golden Triangle a hot bed for exploration activity that is quickly becoming the center of a new Canadian gold rush. British Columbia’s Golden Triangle mining district lies in the wide volcanic belt North American Cordillera and extends from the south near Stewart, British Columbia and heads north to the Alaskan panhandle, another important source of gold and other economically important minerals. With its rich and diverse geology, the Golden Triangle has the potential to host several types of the world’s most profitable deposits including high-grade gold and silver veins, large-scale porphyries and volcanogenic massive sulphide. To date, more than 130 million ounces of gold, 800 million ounces of silver and 40 billion pounds of copper have been discovered. During the 19th century, the Golden Triangle experienced three gold rushes, one in each of its points, beginning with the Stikine Gold Rush of 1861. Nearly a thousand prospectors began flocking to the area after Buck Choquette’s discovery of placer gold where the Stikine and Anuk Rivers meet. The Cassiar and Atlin gold rushes would soon follow. The first official mine, aptly named Premier Gold, began operating in 1918, but it wasn’t until the heyday of the Eskay Creek and Snip mines in the 1990s that the area earned its current moniker. First discovered in 1964 by Cominco, between 1991 and 1999 the Snip deposit produced 1.1 million ounces grading an average of 27.5 g/t gold. The Eskay Creek mine was discovered in 1988 by junior companies Stikine Resources and Calpine Resources, and would go on to become Canada’s highest-grade gold mine (49 g/t) and the fifth largest global silver producer, with a total lifetime production of more than 3 million ounces of gold and 160 million ounces of silver. Falling gold prices and the high costs associated with such a remote location isolated further by a lack of major infrastructure brought operations to a halt at these once highly productive mines. Today, a new exploration rush is on in the Golden Triangle. In 2017, according to a recent Association for Mineral Exploration-BC report, 40 percent of total exploration expenditure in British Columbia was spent in the province’s Northwest region, with a significant increase in drilling expenditures (138 percent) over 2016. The majority of the CDN$9.8 million in exploration expenditures on primarily silver projects in the province for 2017 (more than double the figure from the previous year) occurred in the Golden Triangle. For gold exploration, about 80 percent of expenditures were concentrated in the South Central and Northwest regions of British Columbia, primarily in the Cariboo gold belt and the Golden Triangle. In fact, companies spent $82 million on gold and silver exploration in the Golden Triangle, up $11 million from the year prior. The price of gold has more than tripled in recent years, making precious metal projects attractive sources of potential profit once again. But gold prices are just one factor in several positive turnabouts in the Golden Triangle story. The region also owes its latest gold rush to strong new infrastructure in the region, receding glaciers revealing new outcrop, improved First Nations relationships and a new geological model that has opened up a wide door of opportunity for juniors and majors alike. That $82 million on gold and silver exploration in 2017 alone may not have been possible without three key infrastructure upgrades in the Gold Triangle region: improved roads, shipping facilities and electricity generation. The paving of the Stewart-Cassiar Highway north from Smithers has made accessing the area by road much easier. The completion of a $700 million high-voltage transmission line now provides a reliable source of energy and has significantly power costs for companies in the region that hitherto were reliant on diesel generators. The opening of ocean port facilities for export of concentrate at Stewart gives companies access to key markets. For years, the complex geology of the Golden Triangle has stumped geologists and impeded discovery. While the hydrothermal systems that produce most metal deposits had active periods that span hundreds of thousands of years and sometimes even a few million, the hydrothermal systems responsible for mineral deposits in the Golden Triangle were active for as much as 10 million years — a rare occurrence on earth that is not well-understood. And yet, that long timespan of mineralizing activity is what gave rise to large, high-grade deposits like Eskay Creek, and the recently discovered Red Chris and KSM deposits. The recent work of geologist Jeff Kyba has offered up a new interpretation of the region’s geological model dubbed “the Red Line” by others in the industry. The theory is that geologic contact between Triassic age Stuhini rocks and Jurassic age Hazelton rocks is the strongest indicator for copper-gold mineralization — whether porphyry-style or intrusion-related — and in fact, the majority of the region’s latest discoveries are within 2 kilometers of this contact zone or “red line”. The increased collaboration between the First Nations Tahltan and Nisga’a Lisms Government, provincial government and industry in the Golden Triangle within the British Columbia Regional Mining Alliance is another step towards positive mineral development in the region. First Nations’ support through cooperation and benefits agreements is key to advancing projects in the region. Imperial Metals’ (TSX:III) Red Chris $700 million copper and gold mine began production in 2015 with an estimated mine life of nearly thirty years. In 2016, the Red Chris mine produced 83 million pounds of copper, 47,000 ounces of gold and 190,000 ounces of silver. Pretium Resources’ Brucejack gold-silver mine hosts some of the world’s highest grade gold with 8.7 million ounces at a grade of 14.6 g/t. Pretium initiated commercial production at Brucejack in 2017. In the first half of 2018, the company reported production of 187,000 ounces of gold at all-in sustaining costs of US$783 per ounce. Head grade averaged 11.9 percent with a gold recovery rate of 97.7 percent. Adjacent to Brucejack, Seabridge Gold’s (TSX:SEA,NYSE:SA) porphyry-style KSM deposit is now the world’s largest gold project with reserves of 38.8 million ounces of gold, 10.2 billion pounds of copper and 183 million ounces of silver. The project received environmental approval for permitting and construction in 2014. Ongoing exploration at the newly discovered higher grade Deep Kerr and Iron Cap Lower Zone deposits is set to increase the project’s mineral assets significantly. Seabridge has dedicated $19.7 million to exploration at KSM for 2018. 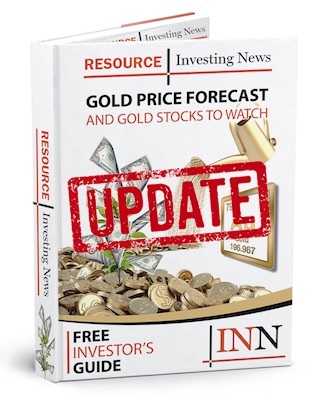 IDM Mining (TSXV:IDM,OTCQB:IDMMF) optioned the Red Mountain project from Seabridge in 2014 and soon set to work on a feasibility study released in 2017 which confirmed positive economics including a low Capex for a high-grade, bulk mineable underground gold operation. The 17,125-hectare property hosts a 2018 NI 43-101 measured and indicated resource of 704,600 ounces of gold averaging 7.91 g/t gold and 2,026,800 ounces of silver averaging 22.75 g/t silver, as well as inferred resources of 61,400 ounces of gold averaging 6.04 g/t gold and 77,200 ounces of silver averaging 7.60 g/t silver. IDM plans to update the 2017 feasibility study to incorporate the 2018 resource estimate into the mine plan and additional value engineering optimization work that has been ongoing since the 2017 feasibility study. The updated feasibility study is expected to be completed in 2019. IDM is looking to early 2019 to begin the Mines Act permitting process for Round Mountain. The British Columbia environmental assessment certificate has been granted for Red Mountain and is a major de-risking event for the project. IDM anticipates receiving federal approval in early 2019. IDM engages in ongoing consultation with the Nisga’a Lisims Government and the final draft of the company’s impacts and benefits agreement with Nisga’a is expected for completion in Q4 2018. Newmont Mining (NYSE:NEM) and Teck Resources’ (TSX:TECK.B,NYSE:TECK) Galore Creek copper-gold porphyry deposit hosts 9 billion pounds of copper, 8 million ounces of gold and 136 million ounces of silver. Teck has a JV on another porphyry project, Schaft Creek, with Copper Fox Metals (TSXV:CUU). The 2013 feasibility study shows 5 billion pounds of copper, 5.8 million ounces of gold, 363.5 million pounds of molybdenum and 51.7 million ounces of silver. British Columbia hasn’t seen the last of the gold rush era. Higher gold prices, new infrastructure, and maturing production alongside new discoveries in the area are all combining to strongly support a new age of opportunity in British Columbia’s Golden Triangle mining district. Even given the breadth of enormous deposits discovered in the region, there still remains much to be discovered.